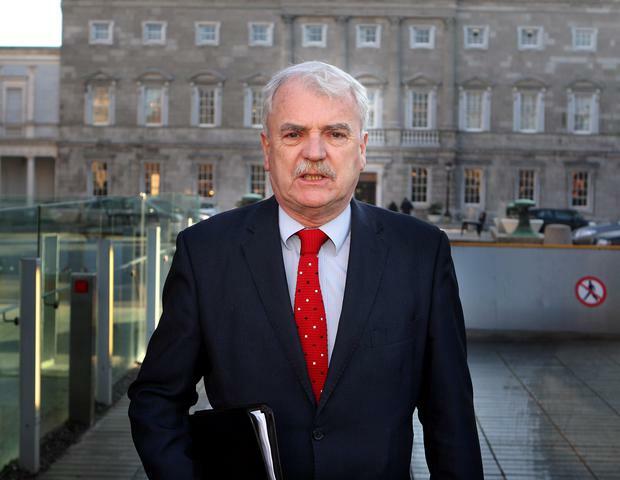 Finian McGrath has a reputation as an outspoken politician, unafraid to speak his mind. His highly controversial remarks about gardaí are not the first time it has landed him in trouble. It can be an admirable trait that sets him apart from other TDs that perform verbal acrobatics to avoid saying anything at all. But the latest case of Mr McGrath shooting from the hip has infuriated his Government colleagues. It’s perhaps his most serious gaffe and he has form. He was just appointed as junior health minister in 2016 when he got in trouble for suggesting there should be an easing of the workplace smoking ban to allow it in dedicated indoor areas in pubs. Health Minister Simon Harris wasn’t long in slapping down that suggestion. He later got in hot water over comments about the HPV vaccine, again causing headaches in the Department of Health. Mr McGrath previously expressed opposition to the vaccine used to prevent cervical cancer before he entered Government. When his position on the issue resurfaced in 2017, he performed a U-turn and announced his full support. He was perhaps lucky the controversy had blown over by the time the cervical cancer screening scandal erupted. Mr McGrath’s ‘super-junior’ disabilities brief is across the departments of Health and, crucially in the midst of the present storm, Justice. There is now an extraordinary situation where a junior justice minister made claims of “political policing” that effectively undermine gardaí in their efforts to crack down on drink-driving. Amid anger in Fine Gael it remains to be seen if the repercussions are limited to his rapid climbdown.